of Special Tasks Datuk Seri Panglima Teo Chee Kang. (Act 750) cannot be applicable to the state. “Therefore, our boundaries are defined by the pre-Malaysia law, which includes our continental shelf,” he said in a statement yesterday. 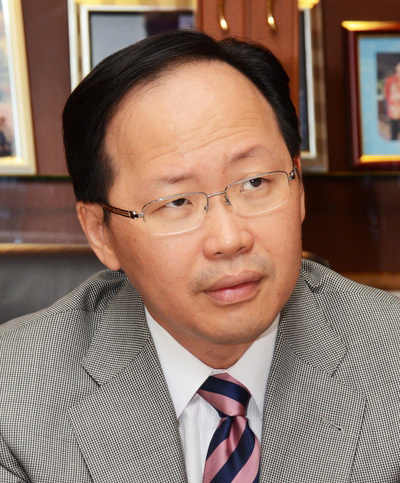 Teo said the state government thanked the Prime Minister Datuk Seri Najib Tun Razak for his repeated assurances that rights under MA63 that were intentionally or unintentionally taken from Sabah will be given back to the state. “In this respect, I am confident that in a brotherly spirit, what is accorded to Sarawak will also be accorded to Sabah. This particular issue is also expressly raised in our State Rights Revision Committee report submitted to the Prime Minister in May 2017,” Teo said. Teo also congratulated the Sarawak government for the launch of their state owned oil company, Petroleum Sarawak Berhad (Petros). “At this juncture, I would like to bring out the fact that with the vision and foresight of our Chief Minister Tan Sri Musa Haji Aman, the state government had acquired M3nergy Berhad via Sabah Development Bank way back in 2013. “With that, our state government has already became an oil industry player,” he remarked. Upon a restructuring exercise, he said, the relevant licence is now held under Sabah International Petroleum Sdn Bhd (SIP) which has a lucrative contract for the lease of a Floating Production Storage and Offloading (FPSO) vessel to Petronas Carigali Ketapang 2 Ltd in their operation at Bukit Tua Field off North East Java. In addition, he said, SIP also signed a production sharing contract with Sapura Kencana Bhd and Petronas which would eventually allow the state to own up to 25 per cent share on land blocks known as SB331 and SB332 over Sandakan and Lahad Datu.